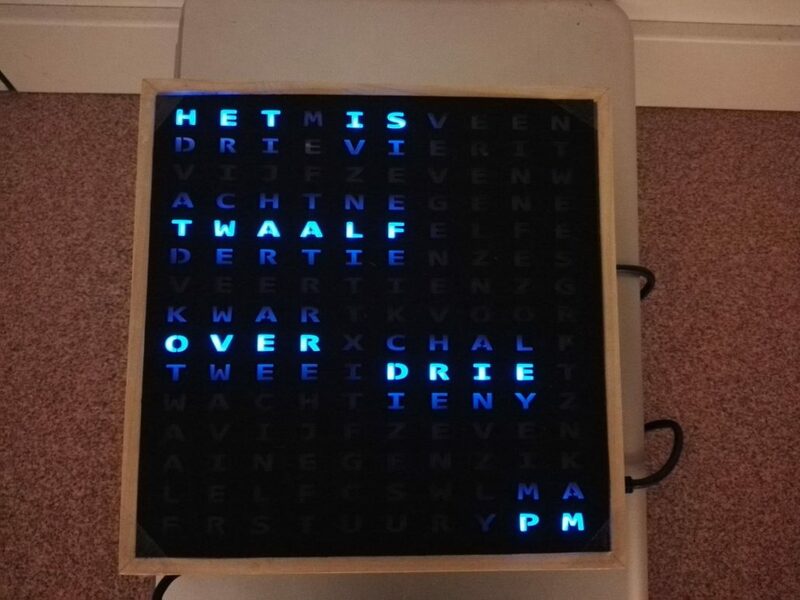 Chronox – a Dutch word clock in two colours. Word clocks are a modern piece of furniture that offer a stylish way of telling time. Chronox is more than just a regular timepiece, it is a chic addition to any home. What makes Chornox different from the rest, is that you can read any minute of any hour in words. 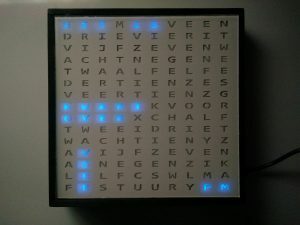 With similar products only every five minutes are lit up in words, while the remaining minutes are indicated by four dots in the corners of the clock. Internally, the clock is made up out of few components. 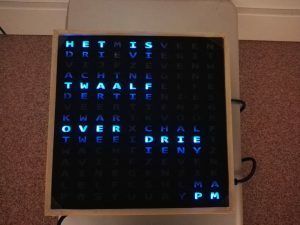 The PXL team chose to use the Arduino Nano as microcontroller, which controls several shift registers that shift the code to 150 LEDs. Besides that, the team uses an RTC module to retain the time while the clock is not plugged in. 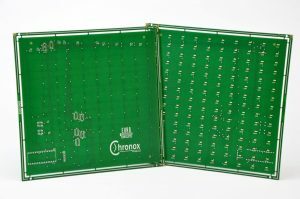 The PCBs that Eurocircuits produced are 220 by 220 mm. 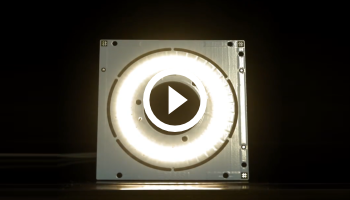 The PXL team and Eurocircuits were already in contact via PXL, which helped with the production process a lot. The PCB of Eurocircuits is the most important part of the clock. It’s the backbone for Chronox which holds the 150 LEDs. 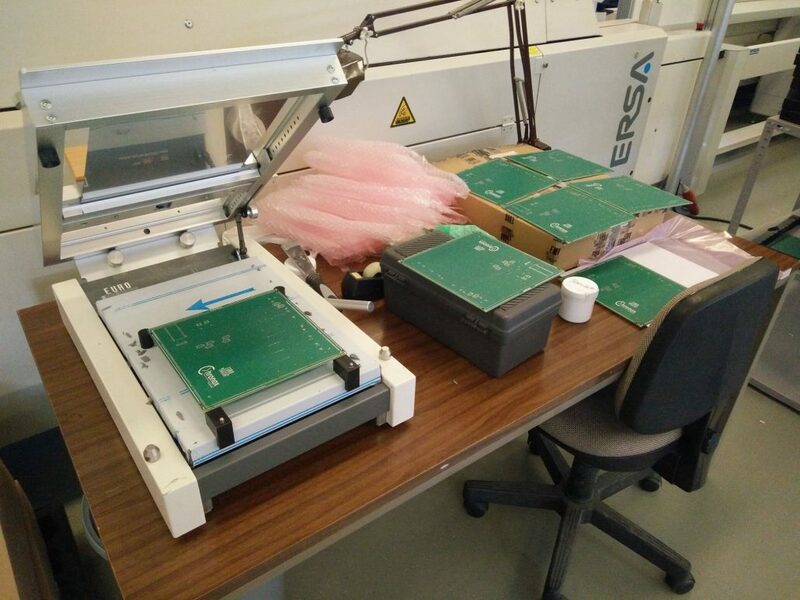 The process of creating the PCBs started with designing the schematic in Ultiboard, after which the GERBER data was uploaded on the Eurocircuits online platform for the creation of our PCB. Furthermore, the team loved the eC-stencil option. 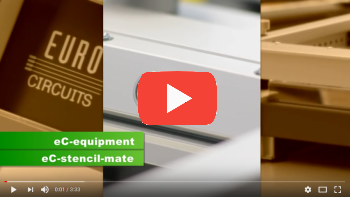 With just a few clicks the PCB became eC-compatible which made it possible to use the eC-stencil-mate for applying solder paste to the circuit boards. 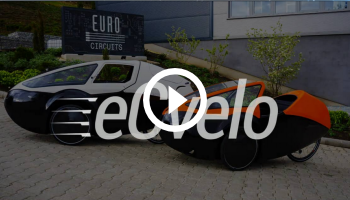 A user friendly application by Eurocircuits. 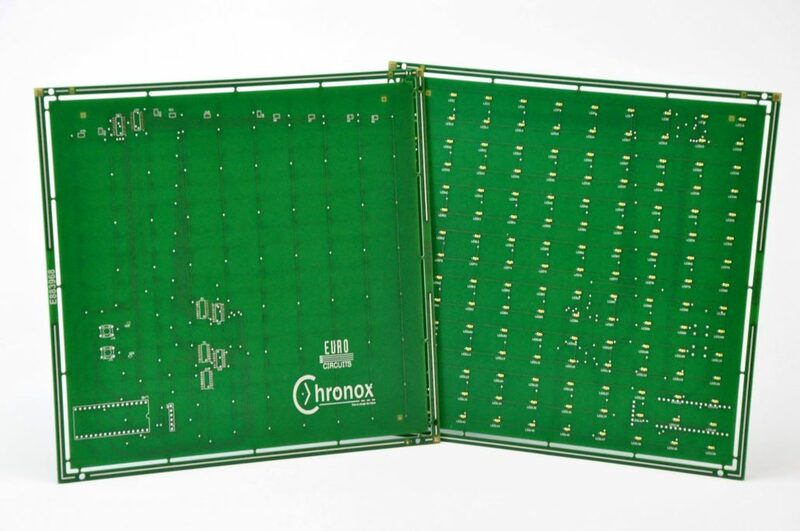 Chronox, another successful cooperation between students and Eurocircuits!